The country’s number one music channel, MYX—now available in ABS-CBN TVplus as one of its fresh offerings— is in for a fun, edgy vibe as it welcomes Arci Munoz with her rock star energy as Celebrity VJ for August. The “Since I Found You” actress takes over the music channel as bearer of the hippest music videos and funky tunes, along with her insider knowledge as a musician herself. More Kapamilya viewers will get to see VJ Arci for the whole month, now that MYX can be watched via ABS-CBN TVplus, along with its other new free channels Jeepney TV and O-Shopping and exclusive offerings Asianovela Channel and Movie Central. Meanwhile, OPM hitmaker Ogie Alcasid celebrates with the music channel as he takes on the role of “MYX Headliner.” The renowned singer-songwriter also commemorates his 30th anniversary in the industry with a huge concert dubbed “OA: Ogie Alcasid 30th Anniversary with the ABS-CBN Philharmonic Orchestra” happening on August 24 (Friday) at the Big Dome. Now-solo artist Unique Salonga is officially back in the music scene under the “MYX Spotlight.” Fans are in for a treat as the former IV of Spades member showcases his new songs throughout the month, just before his upcoming “The Grandma Tour” concert in September. Watch out as MYX once again invades various campuses in the Metro with the return of “MYX Slam Jam.” The much awaited campus tour kicks off at the Emilio Aguinaldo College on August 20 (Monday). 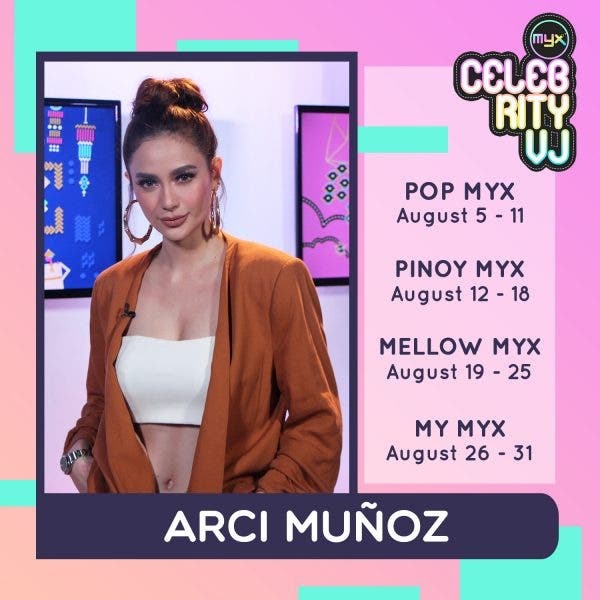 Catch Celebrity VJ Arci on “Pop MYX” from August 5 to 11, “Pinoy MYX” on August 12 to 18, “Mellow MYX” on August 19 to 25, and “My MYX” on August 26 to 31. 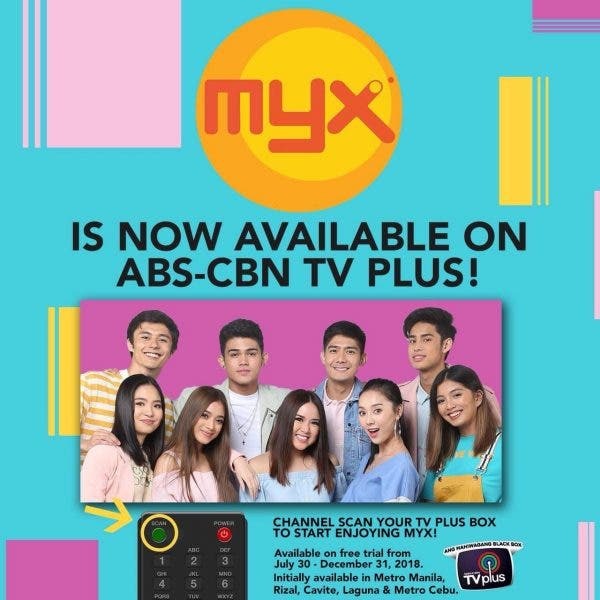 Watch MYX on ABS-CBN TVplus channel 12, SKYcable channel 23, and SKYdirect channel 37.